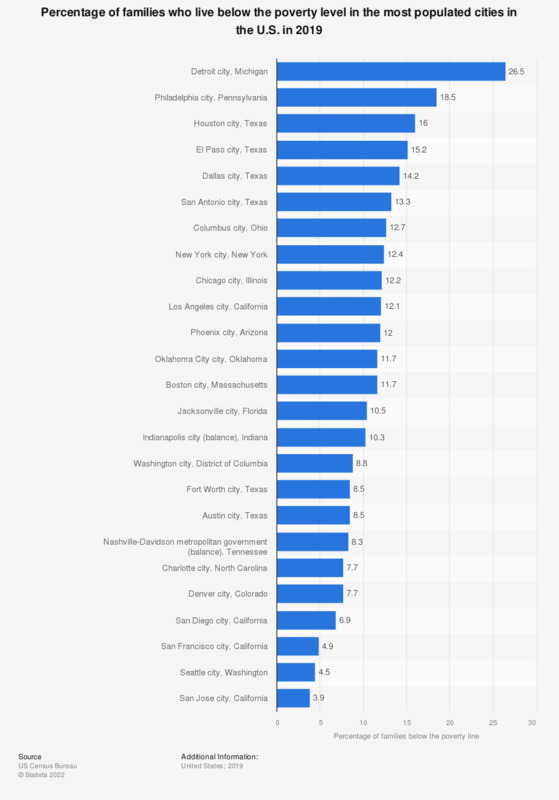 This statistic shows the percentage of families who live below the poverty level in the top 25 most populated cities in the U.S. in 2017. In 2017, around 13.9 percent of all families in Boston city lived below the poverty level. The relevant population data can be found here.